You all remember when laptops were incredibly expensive? They still can be, but it's not like 'back in the day' when even a mediocre one cost as much as a trip to Hawaii. 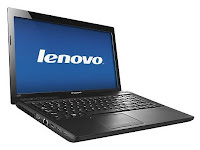 For instance, today only Best Buy is offering this top-rated Lenovo IdeaPad 15.6" Laptop for just $250. That's $150-$200 off the next best price I could find, and those were all refurbished. This thing won't operate the space shuttle from a Starbucks, but it's a fantastic basic laptop. It's got 4GB memory and plenty of space in the 320GB hard drive. It's wireless, has a web cam, rewriteable DVD player, Windows 8 OS, and more. What I like is it's perfect for traveling - it weighs less than 6 pounds and measures just 1.2" thin.